The National Review Years, April 27, 1979 — Secular humanism (as Irving Kristol has pointed out) is virtually an established religion, with the added advantage (as James Hitchcock has pointed out) that it doesn’t suffer the disabilities currently imposed on acknowledged religions. Joachim of Flora predicted the advent of a new “Age of the Spirit,” in which man would outgrow the need for Christian and ecclesiastical authority and achieve an autonomous perfection. At one time it was plausible to say that this humanism was common sense, plus a little science and history: reason herself as she speaks when liberated from superstition and dogma. It was the light at the end of the tunnel of the Christian era, when man would return to the sunny rationality of the ancients, a condition enhanced by modern scientific method. This view is expressed in the very names given to historical eras: Dark Ages, Renaissance, Enlightenment. Christian Humanism abounds in startling linkages; …it is an excellent short genealogy of a nihilism that was conceived in hope. Sartre’s Nothingness didn’t come out of nowhere. In defining man as the desire to be God he is in a sense deeply traditional. Specialists in these areas have long since found that such terms fit only very loosely, at best. 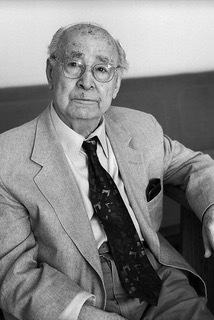 A new historiography, exemplified in the work of Eric Voegelin, has suggested a radically new scheme, in which humanism is found to be, not mere secularism, but a positive creed, an ideology, informed by the Christian heresy of Gnosticism, and even traceable to that heresy as promulgated in the twelfth century by Joachim of Flora. Joachim predicted the advent of a new “Age of the Spirit,” in which man would outgrow the need for Christian and ecclesiastical authority and achieve an autonomous perfection. Although modern humanism adopts profane accents, its structure remains that of the old heresy, so it is not strange that secular humanism should find allies within the church from which the heresy sprang in the first place. Hence the phenomenon of Christian humanism, which cooperates with the superficially secular brand in seeking to impose utopian regimes. The superficiality of the differences is apparent in that formal credal positions seldom inhibit that cooperation. The distinction between a George McGovern and a Robert Drinan seems merely sartorial. Thomas Molnar wisely reminds us that many of the ancients were offended by Christianity in the first place because of the very “humanism” of the Incarnation: what an indignity for a god to become a mortal! In Christian Humanism, Thomas Molnar sketches the shape and history of that ideology. He wisely reminds us that many of the ancients were offended by Christianity in the first place because of the very “humanism” of the Incarnation: what an indignity for a god to become a mortal! It was like becoming a head of lettuce. Given this apparent derogation of divine transcendence, it was inevitable that humanistic excess should become a permanently tempting position for Christians. Molnar finds adumbrations not only in Joachim but in more familiar figures like Nicholas of Cusa, William of Ockham, and Pico della Mirandola. Contrary to modern mythology, the Renaissance’s optimism about human potential was not a return to paganism, whose fatalism (cf. Homer, Aeschylus, Aristotle, Vergil, Seneca) gave little warrant for faith in human perfection or general progress. Ancient man saw himself as locked into the natural order. Pico saw man as “fashioner of his own being,” or as Molnar puts it, “a pure indeterminacy”: a phrase that places Pico nearer to Sartre than to Sophocles. Christian Humanism abounds in such startling linkages; among other things it is an excellent short genealogy of a nihilism that was conceived in hope. Sartre’s Nothingness didn’t come out of nowhere. In defining man as the desire to be God he is in a sense deeply traditional. The doctrine of the Incarnation makes the transcendent God paradoxically present. The paradox is intellectually unfathomable and psychologically hard to bear. Yet the idea of divinity, once known, is less easy to banish. It becomes assimilated to humanity entirely. Man becomes God, in a reversal of the Incarnation. When the conception of man is collectivized, the entire human race becomes the locus of divinity. Man is the measure of all things, but this “man” includes men unborn. Since it is obvious even to ideologues that those men who now exist are far from perfection, divinized man must be something as yet unrealized, a “new man,” man as he will (according to ideology anyway) be. The idea of divinity … becomes assimilated to humanity entirely. Man becomes God, in a reversal of the Incarnation. When the conception of man is collectivized, the entire human race becomes the locus of divinity. Man is the measure of all things, but this “man” includes men unborn. Thus humanism gives its energies to utopian politics. Having abandoned the eternal, it loses interest in (and even resents) traditional criteria of sin and virtue; personal behavior is a matter of concern only as it bears on man’s collective destiny. (Exit chastity.) The real action is at the level of the state. Those who think that what has happened to American government can be summed up as “secularization,” as in abortion, have failed to notice the way secular humanism (backed by the Christian kind) has aggressively tried to engulf traditional values. Profound and incisive as usual, Molnar identifies the project of Christian humanism’s theology: “the complete assimilation of the Church to the World.” But that world is the world of the future — as imagined by humanism itself. And if we are to be “open” to the future, as the Rahners and the Kungs tell us to be, how, Molnar asks, can they presume to say in advance what it will be like? If they already know its nature, they hardly need wait and see. The secret of humanism turns out to be not that it is open to the future but that it is closed to the past and therefore to the permanency embodied in the past. It is really a posture of revolt and repudiation, its idealism an excuse for demolishing the actual. And its deepest sin is ingratitude. Copyright © 2018 by the Fitzgerald Griffin Foundation. All rights reserved. 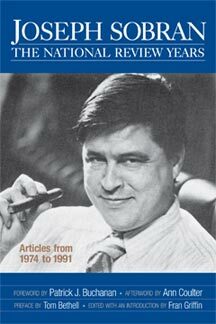 “Piety for the Future” by Joe Sobran was published originally in National Review magazine on April 27, 1979. This is one of 34 articles in the Sobran anthology, Joseph Sobran: The National Review Years published by FGF Books in 2012. The book is currently out-of-stock, but the Fitzgerald Griffin Foundation hopes to reprint soon.